While Many of us are facing many speed problems for communications and speeds problems, the International Telecommunication Union (ITU), Next Generation of a Technology Now a days we have 3g and 4g Mobile and internet speed. Right now, We are talking about 5g Technology, Since 5G standard is currently in the definition stage, the ITU has announced a timeline for a name, demonstration, and distribution. During a conference held in San Diego from June 10th to 18th, 12 member delegation sat to draw up the specifications to be established for the upcoming 5G network standard and to set a roadmap as to how the objective will be achieved. Now you may have a Question what will be the Speed in 5g Network? 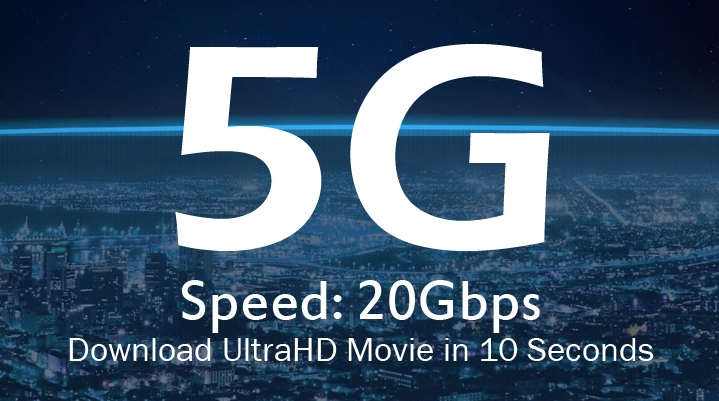 When I talk about data speed, the ITU has decided that 5G compliant networks will have to provide a peak data speed of up to 20Gbps, which means it’s 20 times faster than the peak speed specification (1Gbps) of 4G LTE networks. The 5G network technology, which is still in the development stage, is expected to come out between 2018 and 2020.